IWantToLickYourCat is a casual, friendly PvPvE Legion. There's no real pressure to do PvP instances/gear. All you have to do is be active . We came here from EU servers. 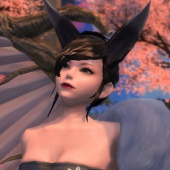 Most of all start playing aion since 4.5 patch. After looong time we was really mad what Game(Fail)Forge did to EU Aion. After some technical problems we are here playing on server where they dont want our money on every step we make :3. We aim to offer an environment geared to the more casual players to socialize and enjoy the game. Real life first: we believe that the purpose of playing games is purely to have fun, not as an escape for responsibilities in your life. Based on that ideology, we aim to be as open as possible in order to provide a welcoming place for all players enjoying Aion. Anyone has the capability of badassery, regardless of gender, race, etc. As long as you have a strong drive to kick some Balaur and Elyos butts, you're very welcome in our ranks. · You have to understand and speak English. It doesn't have to be perfect, we just need to be able to understand what you're saying. · You have to bewilling to learn from more experienced players. Everyone wins when taking notes from experienced badasses. · You're generally respectful to people, even if they disagree with you. Does this sound like you? Then we'd love to see you join! - Find us in search. - Send the Brigade General/Tribunus a message. - Reply to this forum. · A low-pressure, laid back atmosphere. · A welcoming attitude to newbies, high-level players and returning players. · An equal acceptance of pve and pvp, no particular focus. · A cool Legion name. · Own TS3 and Discord server. instant ban. For your main, your alts, and any account you may make to circumvent the ban. · Don't beg higher level players to power-level you and/or guilt them into it. No means no. · If you have questions, do ask! There's no such thing as stupid questions, regardless of experience in the game.